It’s Easter again and I’m planning to treat myself and guests to some cured trout. 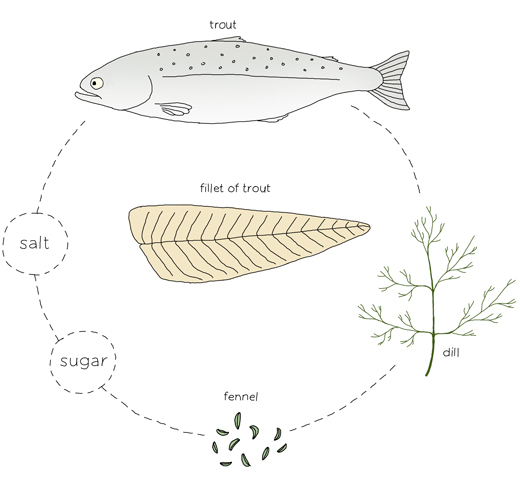 To cure trout I use the same method and ratio as when I make traditional Scandinavian gravlax. The recipe below is plain and simple. Not much more is needed for this delicate treat, but if you want to try something different you can add other flavors. 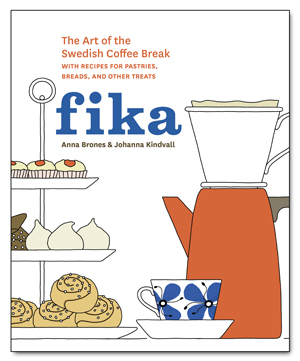 Ederflower, ginger, crushed juniper or a shot of aquavit work really well. The list is endless. Besides salmon and trout you can use this same method to cure other types of fish. Mackerel is an excellent option, and Keiko over at food blog Nordljus cured a good looking seabass with a scent of licorice. As I love licorice, I decided to add some toasted fennel seeds to my cure this Easter, which I think will go really well with the mild trout flavor. Note: The trout should be frozen one or two days before you start the curing. The freezing will eliminate unnecessary bacteria. It’s not hard to fillet your trout yourself. The benefit is that you can use the remaining parts (except for the guts) to make an excellent stock together with bay leaves, carrot, celery, onions, dills stalks, some herbs like thyme, salt and pepper. If you still think this is too messy, ask your fishmonger to fillet the fish for you but remind them that the skin should be kept on. When you have your fillets ready. Rinse them in some cold water and pull out, if there are any, remaining bones with a pair of pliers. Mix together salt, sugar and pepper. Rub the fillet with some of the mixture and sprinkle the rest on top of the fillets. Wash the dill and chop finely. Put the fillets together, meat against meat with the chopped dill and (if you like) some toasted fennel seeds (slightly crushed) in between. Wrap the fish in a plastic foil. Let the fish cure in the fridge with something heavy on top for 48 hours. Turn them now and again. After two days, unwrap and clean the fillets. 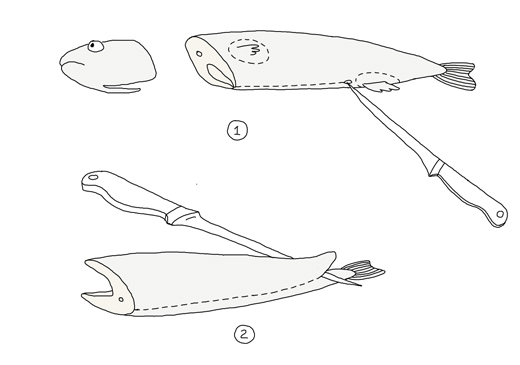 Start to slice the trout at the end of the fish into thin diagonal slivers using a fillet knife (or any other suitable knife). Garnish with some dill branches and slices of lemon. They can be served on toast or dark bread. However this fish is sensational on a thin “knäckebröd” topped with a drip of Hovmästarsås. Enjoy! Stir together 3 tablespoons mustard, 1 egg yolk, 1 tablespoon apple cider vinegar, 1 tablespoon brown sugar with plenty of chopped dill. Slowly start dripping in a little less than a 1/2 cup of olive oil into the mixture while stirring continuously (just like you make mayonnaise). If you add the oil too quickly the mixture can separate. The result should be a thick sauce. Season with salt and fresh ground pepper. 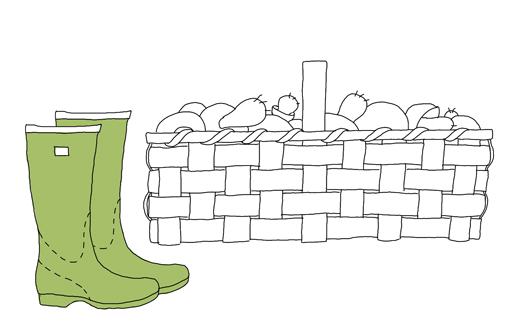 Before buying any fish check with Seafood Watch (US) for the most sustainable options. While the duck is baking I treat my friends with some spiced duck liver. 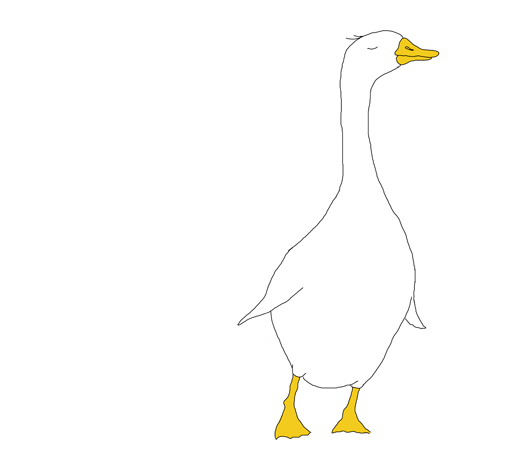 Often there is not that much liver that comes with a duck, so you may have to add some extra if you like. Many food shops sell duck or chicken livers separately. This dish may be tiny but its definitively worth every bite. Chop the shallot and the poblano into tiny tiny pieces. Saute in plenty of butter on low heat until soft. In another pan, roast the cumin and coriander seeds on high heat until they start to pop. Remove from heat and crush the seeds in a mortar and pestle to a semi fine powder. Chop the liver into very small pieces. Heat up a pan with some olive oil. When hot add the spices with some chili flakes. Let the spices merge with the olive oil before adding the liver. Sprinkle some salt over and stir constantly until the liver starts to get color. Squeeze some garlic cloves in and cook for just a little bit more. Take off the heat and add some freshly squeezed lime juice and cilantro leaves. Serve immediately with some bread. Enjoy! This summer many of my friends in Sweden bragged about the number of baskets of yellow chanterelles they carried home from the woods. I came home with none. But I smiled along and remembered last year, when I couldn’t carry home all the King Boleteus I stumbled over in the woods. I still have plenty left, dried in big glass jars in my pantry. But, I got to pick other treasures such as Black Trumpets and Funnel Chanterelles which are both equally delicious. Soak the dried mushrooms in just enough white wine to cover all the mushrooms for at least 30 minutes until soft. In the meantime, chop the shallot into tiny pieces. Sauté on very low heat with plenty of butter until soft and golden. Drain the mushrooms and reserve the wine for later. Heat up a dry pan, set the heat to medium and add the mushrooms. If the soaked mushrooms get stuck on the pan, add some of the soaking water, in this case the soaking wine. When the water is gone add a big lump of butter to the pan. Add thyme and sauté the mushrooms until they start to get some color (can be hard to see with black mushrooms). Raise the heat and add the shallots and the rest of the soaking wine. Let simmer and reduce to about half. Add cream and season with salt and pepper. When the cream has thickened divide it equally over the toast. Top with toasted walnuts and freshly grated parmesan. Serve this Trumpet Toast with a simple tomato salad. Enjoy! If using fresh mushrooms you should skip the soaking part and only add the wine at the end. 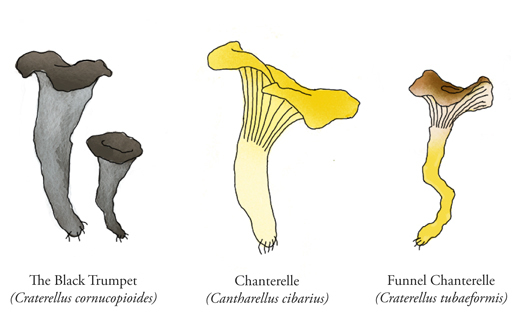 * if you are not able to pick Black Trumpets or Funnel Chanterelles yourself, you can find them dried in well-stocked food shops. There are also plenty of online shops that sell them. Other dried mushrooms such as King Bolete work mighty fine as well. Story and recipe was originally posted at EcoSalon on 26 October 2011. 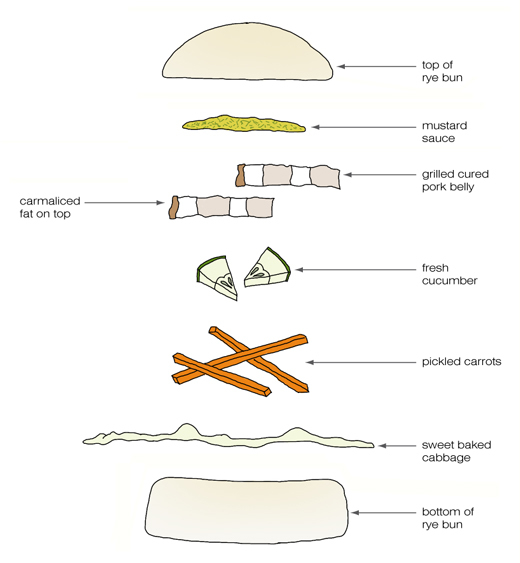 Ever since I had my first Pork Belly Bun at Momofuku’s Noodle bar in the East Village I have never had enough of them. Their Pork Belly is cured with spices like star anise, fennel, coriander and cinnamon etc. The pork is served on steamed buns with cucumber, fresh coriander and Housin sauce. To cure fatty pork is an old tradition and common all over the world and it’s a good way to conserve the meat. 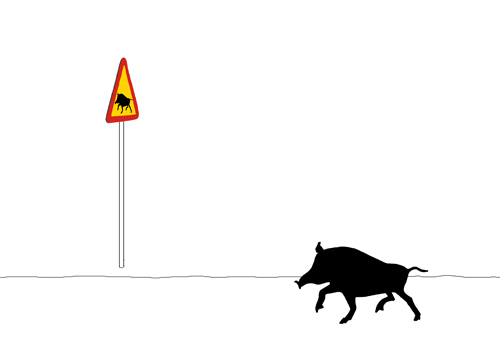 In Sweden they call it söt-saltat fläsk (sweet-salted pork belly). The first time I cured pork belly I followed Stephane Lemagnen’s excellent recipe. Stephane even claims that his pork belly buns are better than Momofuku’s. Later I developed my own versions and a couple of weeks ago I had some friends over for a Nordic-style pork bun. I spiced the pork with coriander, fennel and caraway seeds (the same spices that are used in Akvavit). Instead of steamed buns and Housin sauce I served them in rye bread buns* with sweet baked cabbage (see recipe below), fresh cucumber, pickled carrots, and mustard thyme sauce (see recipe below). Everyone loved it! Toast black pepper, coriander, fennel and caraway seeds in a dry pan until they start to pop. Remove immediately from heat and pour into a mortar and pestle. Crush them as fine as you want. Mix the spices together with the salt, sugar and garlic. Score the fat of the pork and start to rub in the spice mixture on all sides. Place the meat in a dish or a bowl and pour, if any left, the rest of the spice mixture over. Cover with plastic wrap and place something heavy on top. Let it cure for 48 hours (24 hours with thinner pieces). Turn the meat around now and again. After 24 – 48 hours, brush off the spices and rinse under cold water. Place the meat in a pot together with the broth ingredients. Bring to a boil, lower the heat and simmer for 2-3 hours. Skim off the fat that floats to the surface. The meat should feel soft when you stuck with a fork. When done let the meat cool in the liquid. The liquid can be used in soups (like this). Slice the meat into ¼” (about 5 mm) slices. Place them with the fat side up in a baking pan and grill them in the oven on high heat until the fat is caramelized. Serve immediately together with rye bread and accompaniments listed above. Enjoy! This mustard sauce is like a traditional Hovmästarsauce (butler sauce) that is often served with Gravlax. Instead of dill I used fresh thyme from the garden. Clean and cut one head of white cabbage into wedges. Brush the wedges with a mixture of lemon, olive oil and sugar. Season with salt and pepper on top. Bake At 400ºF (200ºC) on one side for about 15 minutes or until it starts to brown. Turn around and bake for another 10-15 minutes. * I really need to create a better bread post where I describe how I measure flour and why my breads always change depending on what I have in my pantry and fridge. Until then my older rye bread recipe will do. Instead of two loaves make several mini buns. I sautee the spinach with chili and garlic. Let cool on the side. Squeeze out any juice and mix with the minced meat. Add the port, ground mustard seeds and rosemary. Season with salt and black pepper. I make a seasoning test by frying a small amount of the meat mixture. Add more seasoning if necessary. Grease a loaf tin with butter and turn the meat mixture into the rectangular baking dish (ceramic or glass). Cover the dish with a buttered sheet of paper or aluminum foil. Bake the pate in the oven in a water-bath at 330º F for about 45-60 minutes. Be careful not to over-bake as you don’t want to make the pate dry. I serve my pate as a starter, cold on dark bread, topped with red currant jam. The recipe is based on Elizabeth David’s recipe of Pork and Spinach Terrine recipe in the book “South Wind Through the Kitchen”.